Before HTML5, you could play videos only in a browser with plugins like Flash. HTML5 changed the game, elevating videos and audios to be first-class citizens on the web by enabling the manipulation of multimedia content with the <audio> and <video> tags. Thanks to HTML5, you can now integrate browser-native video players in apps without third-party scripts or plugins. 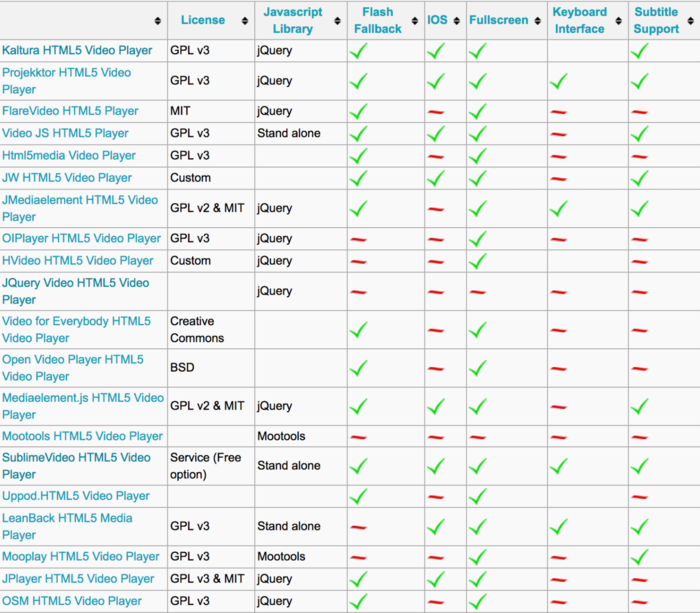 Below is a list of the browser versions that fully support the <video> tag. In this post, we’ll dive deep into the popular HTML5 video players and highlight their strengths and weaknesses. You can then decide which HTML5 video player best suits your project. Other notable HTML5 video players are Video for Everybody, HTML5 Media, jMediaElement ,OIPlayer, HVideo, jQuery Video Player, Moovie, Uppod, LeanBack, OSM Player, HDW Player, Fluid Player, and Amalia.js. Broad device support: The webview player works well in both desktop and mobile browsers on a wide range of devices. Player controls: Built-in support is available for all standard player controls: play, pause, mute or unmute, volume control, loop, maximize or exit maximize, with an option for full customization. Video manipulations: You can apply Cloudinary video transformations at the player level, which in turn applies to all the videos delivered in that player. You can also apply additional or override video transformations on a per-video basis. Multiple players: Multiple players can play videos on the same page, each with different configuration settings or with different sources but the same configuration. Formats: The player supports popular video formats, such as .mp4, .ogv, .webm, and .mov. You can specify multiple formats and the player would then automatically select the best format for the browser in which the video is playing. Adaptive bitrate streaming: The player supports HTTP Live Streaming (HLS) and Dynamic Adaptive Streaming over HTTP (MPEG-DASH),automatically generating all the required streaming representations and supporting files. Playlists: Pass a list of videos or automatically include all the videos that contain a specified tag. Additionally, you can display a Next Up thumbnail toward the end of each of the videos on the list. Recommendations: Display a list of recommended videos when a video ends. Analytics: Monitor how many users are viewing your video and when they do that, down to the level of any event that you choose (start, pause, watched-duration percentages, and others), and then pass the captured data to your Google Analytics account or other analytics trackers. Video Ads: Monetize your content with ads. The player complies with the leading ad standards: Video Ad Serving Template (VAST), Video Player Ad-Serving Interface Definition (VPAID), and Video Multiple Ad Playlist (VMAP), as well as ads that are managed with Google’s DoubleClick and AdSense. Video Transcoding: Integrate the player with Cloudinary’s video-transformation and optimization capabilities. AI Features: Generate real-time, automatic transcripts, subtitles, categories, and tags. For details on the features described above, see this demo. Cloudinary caters to all aspects of the video-management process: from upload to transcoding, to live streaming, and to digital-asset management. See this excellent article that explains how to do it all for your video projects. Bottom line: Cloudinary is an end-to-end solution for all your video- and image-related needs, including upload, storage, administration, manipulation, optimization, and delivery. With Cloudinary, you can securely upload videos or other files at any scale from any source. Cloudinary also comes with an API for fast upload directly from your users’ browsers or mobile apps. For details on how to integrate Cloudinary in your apps, check out its documentation. Flash technology is built into the project for versions that are lower than 6.0.0. If you are using the latest version of Video JS and need Flash support as fallback, join the videojs-flash project on Github. Be sure to add a class of video-js to the <video> tag. Once the page loads, Video JS finds the element and automatically sets up a player for you. Fetch the required files from npm with the command line npm install Video.js. The feature-rich and robust JW Player is an HTML5 video player that renders beautifully on desktop and mobile browsers. It’s also a video-hosting platform on which you can upload and stream 360-degree videos. You can also load multiple JW Player instances on the same page as long as they have different IDs (id). jPlayer is the HTML5 audio and video player for jQuery—basically, a jQuery plugin. JPlayer works on many browsers: IE6+, Android 2.3+, Firefox, Chrome, Safari, Opera, and Mobile Safari. The player does not support closed captions. To obtain the path to the core acornmediaplayer files, type bower install acornmediaplayer on the command line. This player requires the jQuery library. To install Kaltura on a server or in a cluster environment, follow the procedures in the official deployment guides. As additional reference, see the Cross-Platform Video Player ToolKit on Github. The two tables below give you, at a glance, a clear comparison of the features of the HTML5 video players described above and other players in the community. . Videos on HTML5 are multimedia content on steroids for web browsers. Even though quite a few HTML5 video players are available on the web, not every player suits your project. This post addresses the capabilities and limitations of the popular video players. 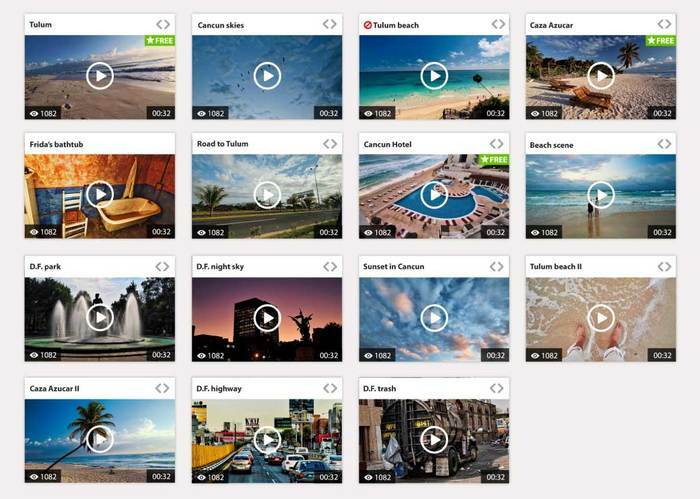 In particular, Cloudinary stands out as an all-encompassing solution that can assist with your video-management needs by enabling you to upload and transcode videos, resize and crop them for responsive design, apply effects and filters, create thumbnails, add captions and overlays, optimize playback, and deliver videos via a global CDN. Check out Cloudinary’s documentation for more information on how to integrate it into your apps. 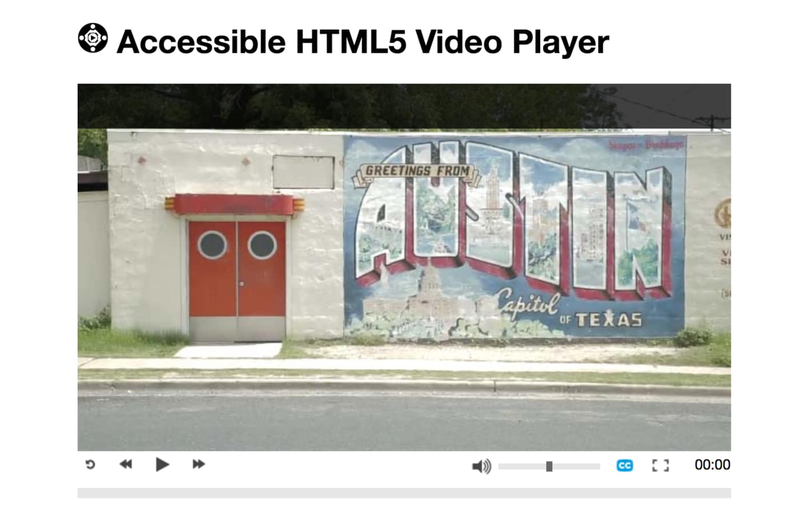 I hope this post is of help to you in choosing the ideal HTML5 video player for your project. Do give Cloudinary a test drive to see how its features can render management of digital content simple, easy, and efficient. I’d appreciate your take afterwards, e.g., your favorite features and the related benefits, in the Comments section below. Also, let me know if I missed any great HTML5 video players out there. Your feedback is always welcome.